The 2019 limited edition mount baker t-shirt. only available with tickets to the game. awesome sauce! It’s time to root, root, root for the Mariners! One again we have pulled together a terrific offer to head to the ball game - exclusive to the neighborhood. On Saturday 27th the mighty Mariners take on the Detroit Tigers. It’s an afternoon (1.10pm) game so that we can accommodate all the family. 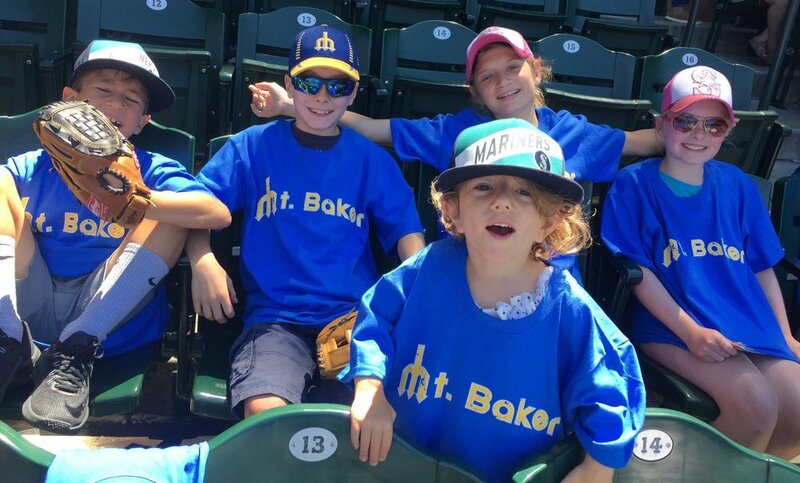 Every ticket comes with an exclusive Mount Baker Mariners t-shirt. There are also 2 levels of ticket prices - $47 for great main level seats and $30 for view level. Click here to buy. Use the code BAKER. As well as a free t-shirt the price of admission includes a donation to Mount Baker Community Club. To claim your free t-shirt you must order your tickets by 6pm Wednesday 24th July so there is enough time to get them printed. Use the code MBCC. If you haven’t been to the Mariners before (or perhaps not for a while) it’s a great day. Super selection of food and drinks, kids play area, Mariners team stores and so much more. Plan your day by visiting the Mariners Website.